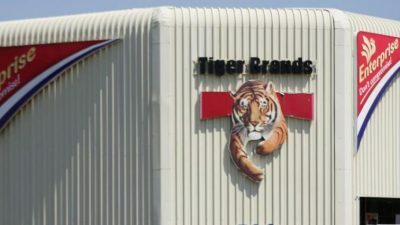 Tiger Brands re-opens its Enterprise meat plant - SABC News - Breaking news, special reports, world, business, sport coverage of all South African current events. Africa's news leader. Tiger Brands has re-opened its Enterprise meat processing plant at Polokwane. This follows nine months of operations being halted after the deadly listeria bacteria, which claimed 218 lives in a two-year listeriosis outbreak, were traced to the factory. Inspectors from the Capricorn District Municipality earlier gave Tiger Brands a certificate for resumption of operations after the completion of disinfecting processes. Chief Officer of Corporate Affairs, Mary Jane Morifi says cold meat products produced at the factory will be back at stores soon. This entry was posted on 07 Dec 2018,11:42AM at 11:42 AM and is filed under Sci-tech, Homepage Featured Story Slider. You can follow any responses to this entry through the RSS 2.0 feed. Both comments and pings are currently closed.